Jill Kirby is Director of the Centre for Policy Studies, and a writer and policy analyst best known for her work on family and welfare issues. Topics she has covered include taxation policy, welfare reform, early education, women and work, pensions, fertility and demography. For the last six years Jill has chaired the Family Policy Project at the CPS and is the author of Broken Hearts: family decline and the consequences for society, Choosing to be different: women, work and the family, The Price of Parenthood, and The Nationalisation of Childhood. 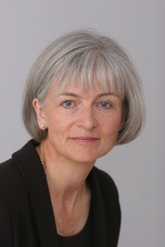 From 2005 to 2006 Jill served on the Tax Reform Commission, appointed by Shadow Chancellor of the Exchequer George Osborne to advise the Conservative Party on the case for a flatter, fairer tax system. From 2001 to 2003 she was a Consultant to Renewing One Nation, the social affairs unit at Conservative Central Office, and a member of the Conservative Women’s Manifesto Group. She is a contributor to the national press, with many articles appearing in The Sunday Times, The Daily Telegraph and The Daily Express and is frequently interviewed on the BBC and other national and local broadcast media. A graduate of Bristol University, she qualified as a solicitor in 1981 and practised in a leading City law firm as a specialist in commercial litigation and employment law.